The 15th Annual Denholm Folk Festival ~ Thursday 1st November to Sunday 4th November 2018. 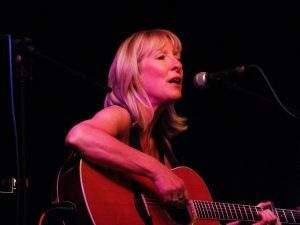 Judith spent her formative years in the folk clubs of Teesside where she built up a respectful reputation as a singer/songwriter taking her influences from the likes of Joan Baez and Joni Mitchell. With her sensitive songs and gentle guitar playing Judith is a delight to listen to. 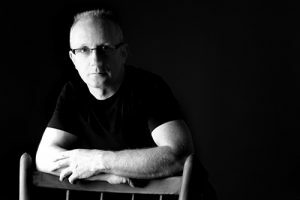 Belfast born Maurice is a talented musician and plays contemporary folk, Irish folk, blues as well as his own material. Having started playing, singing and writing at fifteen, Maurice put together his first band at sixteen and then, three years later traded his engineer’s overalls for a life as a musician. There followed almost five years of ‘touring’ Europe and North Africa, plying his craft and more importantly, soaking up many musical influences and gaining experience as a performer. This period is reflected in his musical style which does not fit in any of the usual categories. Andy is a singer and guitarist and has been informally performing in public for more than forty years. 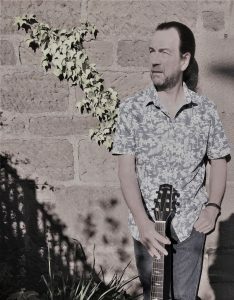 Inspired to learn finger picking acoustic guitar by early Ralph McTell albums Andy has gradually changed style over the years, adopting different tunings and always looking to learn and take inspiration from others. Andy sings a mixture of traditional and more contemporary songs. A resident of Stonehaven for the last twenty years, Andy was Chair of the Stonehaven Folk Festival organising committee for five years and is currently Chair of Stonehaven Folk Club. 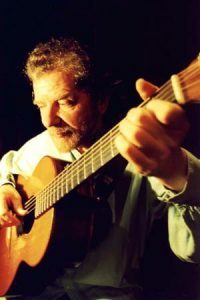 Tommy Sands, Co Down’s singer, songwriter and social activist has achieved something akin to legendary status in his own lifetime. From the pioneering days with the highly influential Sands Family, bringing Irish Music from New York’s Carnegie Hall to Moscow’s Olympic Stadium, he has developed into one of the most powerful songwriters and enchanting solo performers in Ireland today. His songwriting, which draws the admiration of Nobel Poet Laureate Seamus Heaney and father of folk music Pete Seeger, prompts respected US magazine “Sing Out” to regard him as “the most powerful songwriter in Ireland, if not the rest of the world”. Donegal sisters , Karen, Lorna and Joleen are collectively known as The Henry Girls. 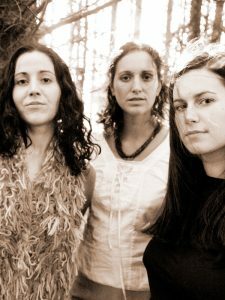 Nurtured musically by their celtic roots, their sound is not bound by them. They have found a way to personalise their music and steeped as they are in tradition they successfully nourish the seeds of old with a bright, refreshing approach. They have a knack for creating authentic original material rich in traditional values. 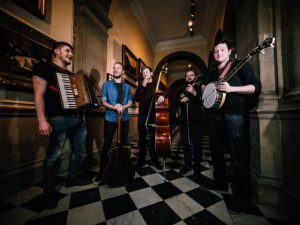 Their tight three part harmonies are matched by soulful musicianship across a range of instruments including harp, fiddle, accordion, ukulele, piano and a few more in-between! This Spring sees them release their 6th album, produced again by Calum Malcolm (Blue Nile, Heidi Talbot) called “Far beyond the stars”. Free sessions all weekend in the Auld Cross Keys, The Fox and Hounds & Festival Club only. Sessions, licensed bar and meals available all weekend in the Festival Club, Lesser Hall. Sally Wachter writes “I have a private self contained annex to our stone farmhouse in Ancrum village which I rent out via Airbnb or privately. The flat has plenty of parking and its own entrance. Downstairs is a living room with completely kitted out kitchen and upstairs a bedroom with two single beds and an en suite shower room. The house is a 5 minute walk to the village shop, Cross Keys pub and bus stop. You can view the property on Airbnb, the post code is TD8 6UY and the name of the house is Townhead. The charge per night is £55.